This delightful ADULTS ONLY two bedroom cottage retreat has all modern conveniences including wifi. Featuring 2 double bedrooms, this is an ideal base for your next visit to Fremantle on business or pleasure. Fully self contained with laundry facilities, the cottage is located on a quiet street, close to a pleasant park. Local cafes and pubs are within easy walking distance. Fremantle is a 15 minute walk in one direction and South Beach is a 15 minute walk in the opposite direction. The free CAT bus passes close by every 10 minutes on its round trip to Freo, stopping off at all main tourist attractions and the train/bus station. Please note: this lovely cottage is not child friendly. Book now to secure this beautiful home away from home. If you fancy staying in a home that’s steeped in history but with all the convenience of a modern home, you’ve come to the right place. Our limestone cottage was built in 1903 for the stablehands who worked in the area, and has been refurbished to contain a modern kitchen and bathroom. The gastronomic delights of South Fremantle are just around the corner. Charming cottage, clean and well laid out, ideal for two couples travelling together or anyone looking to explore Fremantle. The property is within easy walking distance to everything, with some fantastic foodie places very close by. We were also blessed with beautiful parrots feeding off the mulberries growing in the courtyard. The only minus is the street parking very tight and if you have a large hire car your parking skills will be tested! Constructive feedback for property owner; it would be great to have a small BBQ in the courtyard and better stocking of the kitchen utilises. We stayed here for a work trip for 10 days and loved it. It's a great spot just a little bit out of the main shops and restaurants of Fremantle. 10 min walk to town, easy parking at the front door, clean and tidy place to stay. Visited Rottnest Island on our day off, and the ferry leaves right from Fremantle. We loved it, thank you! Lovely compact terrace, very comfortable with everything you could need. 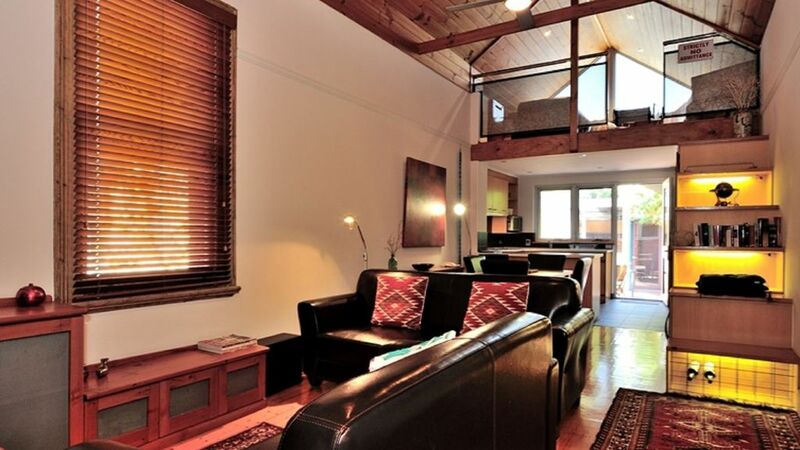 Great central location with an easy walk to cafes and gift stores. Easy to book and we were grateful for an early check in. Unfortunately we had to scrub the shower before use as it was dirty and mouldy. Whole bathroom needs a good clean. I have photos if interested. My daughter and I loved the home. It has all the creature comforts in a beautiful location. Great little park next door and awesome coffee and meals a few seconds down the road. Room for improvement. The contact person for the property was rude and not helpful to us. It was irrelevant to her wether we were comfortable or not, and did not want to hear about property problems and issues. We did not have contact with the owners, but wish owners to know this. I would not deal with Stayz again as a result of this. I am the owner of the property and I was made fully aware of the situation to which the guest is objecting. The guest was woken at 7.30am by City of Fremantle council workers pruning the street trees - workers are permitted to use machinery from 7am. At no time were we notified that this work was to take place so we could warn the guest. My manager handled the matter in her usual practical, friendly manner advising this guest that this was outside of our control and has my full support as always. Fantastic location,great facilities. A home away from home.